in water. 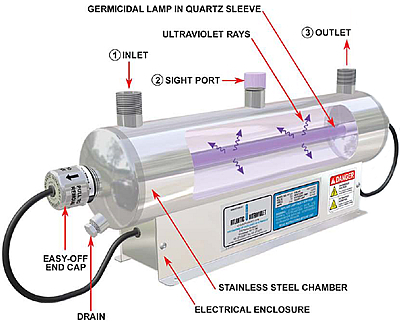 Economical and safe, the MightyPure® Ultraviolet Purifier offers rapid water treatment without the use of heat or dangerous chemicals - often for the lowest cost available by any means. 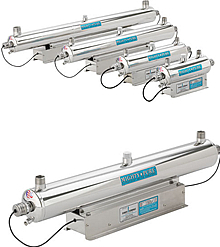 MightyPure® ultraviolet water purifiers produce 3 to 20 gallons per minute of purified drinking water. for an attractive finish and dependable service.